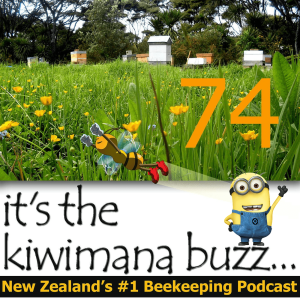 Hi this is Episode Seventy four of our beekeeping podcast, This week we are talking about parasite's, Nosema, 3,000-year-old beehives and Counterfeit Manuka Honey? We talk to Dr Mark Goodwin about the new parasite "Lotmaria passim" recently discovered in New Zealand. What did you think? Do we have CCD in New Zealand yet?